Is this the Kanye West x adidas Yeezi? 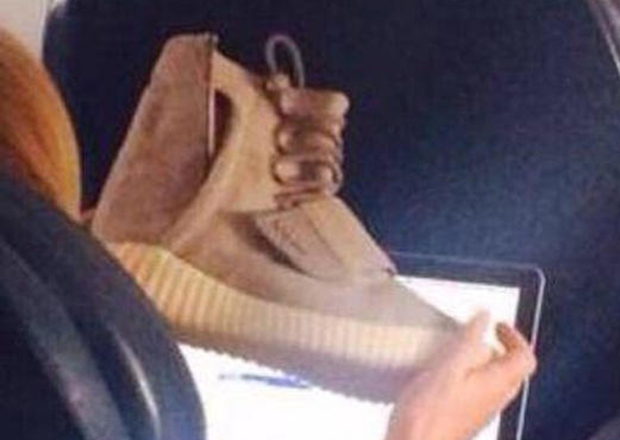 Is this a first look at the Kanye West x adidas Yeezi? There are rumors that an unveiling is going down this Holiday 2014 season, but not even a pencil sketch of the shoe has ever been seen – until now. 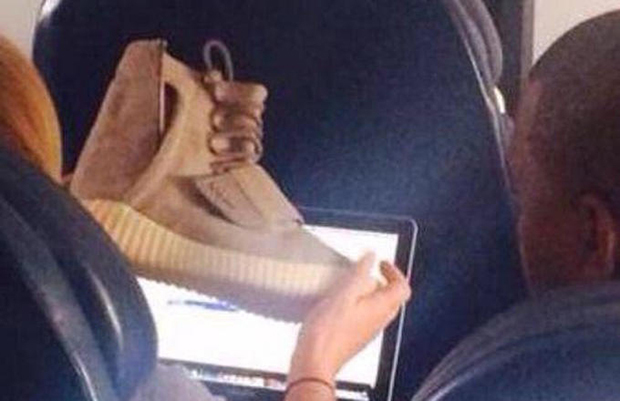 This photo was apparently snapped on a plane with Kanye on board, and this first look shows a high-cut silhouette with a midfoot strap, high lace collar, a ridged midsole construction, and what appears to be an opening on the medial side (perhaps like a city chukka boot for easy slip-on). We’ll have more info on the Kanye’s latest version of his Yeezy sneakers with adidas and let us know what you think about this first look below.